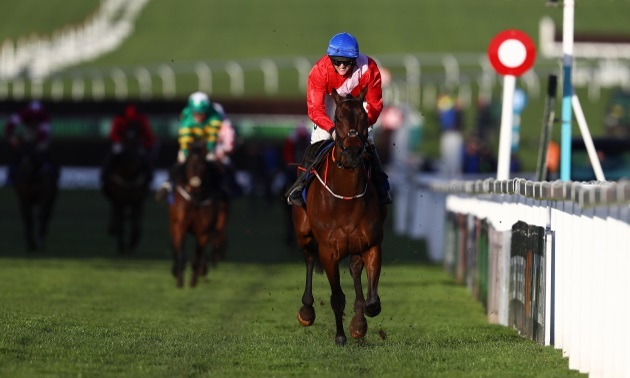 We preview the Cheltenham Gold Cup at the 2019 Cheltenham Festival and give our best bet in the race - with Colin Tizzard's Native River fancied to once again reign supreme as the rain falls. 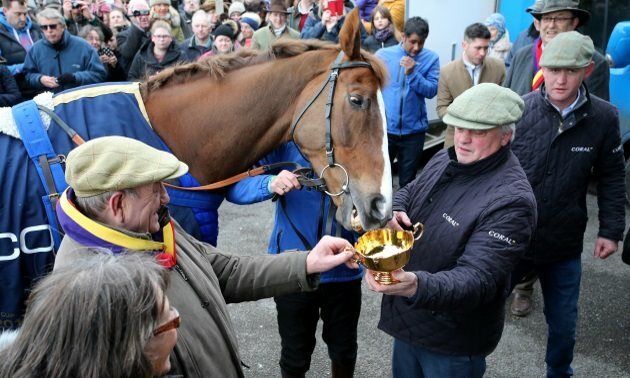 This year’s Gold Cup has a particularly open feel to it, and the mild weather we experienced over the winter has meant that some of the main protagonists have had radically different seasons. The most curious of those is Presenting Percy, last year’s RSA Chase winner, who heads here without a start over fences this term, with his only start coming when winning the Grade 2 Galmoy Hurdle at Gowran Park in January. Presenting Percy’s lack of preparation means there are concerns about his sharpness, but his strength in the market is interesting and he looked a tailor-made Gold Cup horse when producing a top-class performance to win the RSA last season, so has leading claims. Presenting Percy’s main market rival is the King George winner, Clan des Obeaux, who has quickly developed into one of the best chasers around this term, for all that he’s still relatively untested at the 3m2½f trip of the Gold Cup. Indeed, Clan des Obeaux is more about speed and slickness than stamina, something he showed when winning the Denman Chase at Ascot over just shy of three miles in February and it may be that this test proves beyond him. Third behind Clan des Obeaux at Kempton was Native River, who defeated Might Bite when winning this race last year. He needs a stern test of stamina to be seen to best effect, and while he has been beaten on both of his starts this term, he ran well in both, having valid excuses for each, and he’s a big player with this test of stamina likely to be far more to his liking. 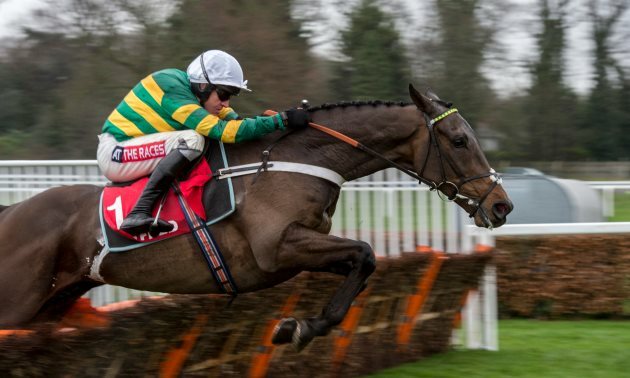 Might Bite, meanwhile, would have claims on his best form, but has flopped on both of his starts so far this term and has something to prove. Native River is one of three representatives for Colin Tizzard, who also sends Elegant Escape and Thistlecrack. The latter has been beset with problems since winning the 2016 King George, but he got close to his very best form when second in the King George last time, and is respected considering his record at Cheltenham (3 wins from 5 starts). Elegant Escape is an improving stayer, though would likely require a lot of late rain if he is to have serious claims. The Irish have a strong hand, and along with Presenting Percy, Kemboy and Bellshill are two more to consider. 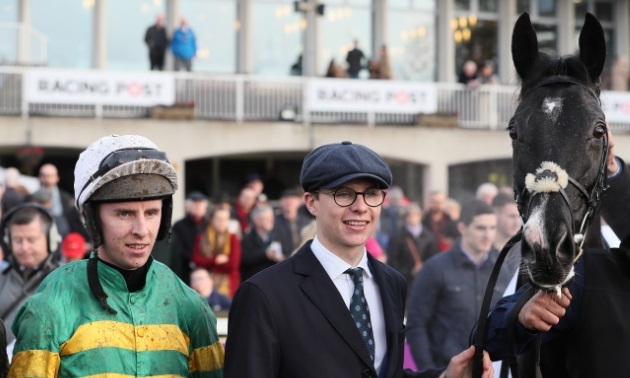 We haven’t seen Kemboy since his demolition job to win the Savills Chase at Leopardstown in December, but that win put him firmly in the Gold Cup picture and he has strong claims with more to come, while Bellshill is interesting if able to build on his top-class effort to win the Irish Gold Cup last month. In conclusion, Native River can become the first back-to-back winner since the legendary Best Mate. He showed great toughness when getting the better of Might Bite 12 months ago and looks ready to peak once more having not been seen in the best light in his 2 runs since. Presenting Percy, seeking his third straight Festival victory, looks the biggest danger ahead of the progressive Kemboy. Back Native River to win the Cheltenham Gold Cup. What is a lucky 31 bet? What is a flag bet? What is a super flag bet?